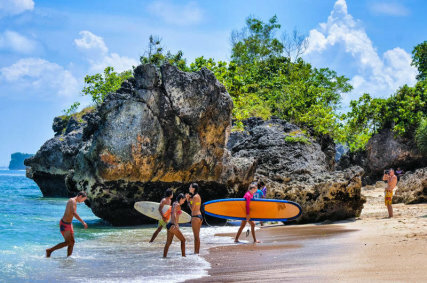 Just five minutes by scooter from the world famous surf breaks of Uluwatu and Padang, Rapture's surf camp in Padang is surrounded by lush Balinese gardens, and offers many areas to relax after a long days surf. The camp accommodates up to 25 guests, and has a variety of rooms for every budget, from deluxe dorms to private villas. At the Padang camp you will be spoilt for choice! Bingin, Padang, Dreamland or Uluwatu? These are just a handful of the surf spots that are within a 5 minute scooter ride of the camp. There are also a number of great restaurants just a stones throw away. 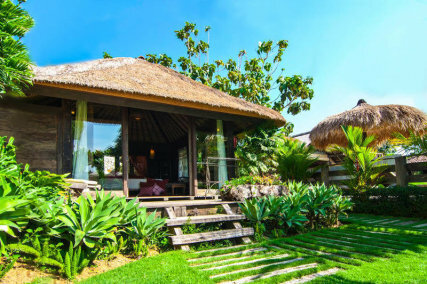 Balinese style Bungalow, 2 persons per section with mosquito nets, fan and lock to up boxes. Shared bathroom with hot water. 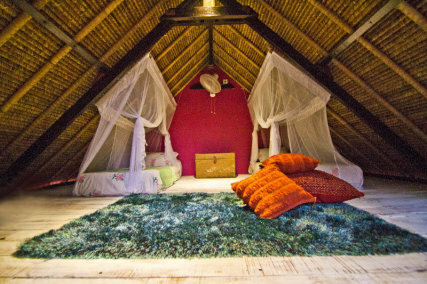 Balinese style Bungalow, 2 persons per section with mosquito nets, fan and lock to up boxes. Shared bathroom with hot water. Per person per day. 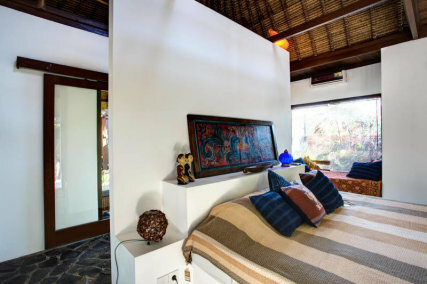 Balinese style Bungalow, 4 persons in total, mosquito nets, air condition, private bathroom with hot water. 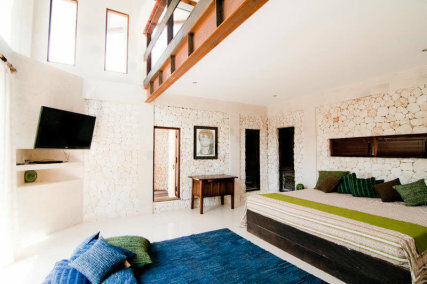 Balinese style private Bungalow with king size bed, TV & DVD, air condition, private bathroom with hot water. 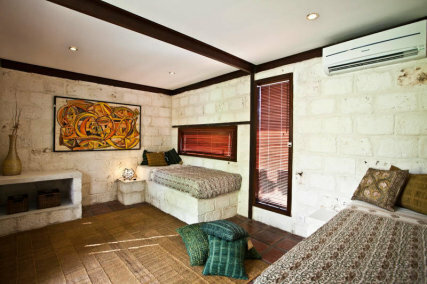 Balinese style private Bungalow with extra king size bed, TV & DVD, air condition, private bathroom with hot water. We provide Airport Transfers from and to Denpasar and they can be booked in the booking steps. 4h lessons per day, including all material and transport. Running Surfresorts in Bali for over 12 years now.